Cross a big 2015 Free Agent target off the Knicks’ list, and pencil in the Cavaliers as the owners of the new “Big 3” to beat in their conference. Cleveland has reportedly agreed to ship No. 1 pick Andrew Wiggins, last year’s No. 1 pick Anthony Bennett, and their 2015 1st round pick to the Minnesota TImberwolves for superstar Kevin Love. 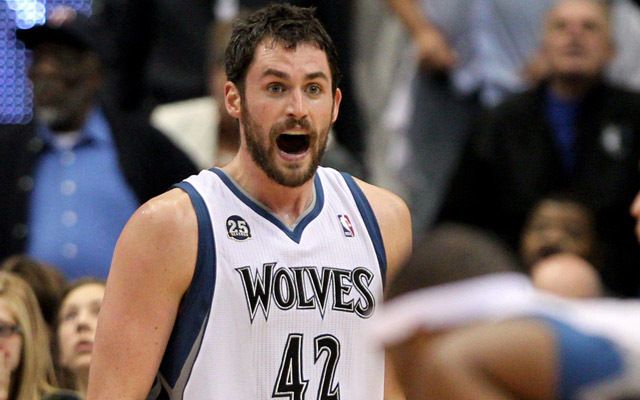 Love will reportedly commit to a 5-year, $120 million contract extension as part of the deal. Yahoo was first to report the news. This entry was posted in Articles and tagged kevin love, kevin love cavs, kevin love knicks, kevin love trade, knicks 2015, knicks 2015 free agents, nba news on August 7, 2014 by Tommy Rothman. it’s one thing to do with Woman gaga! Your own stuffs excellent.